There’s karate on Monday, your book club on Tuesday, soccer practice on Wednesday and Friday, tutoring on Thursday, piano lessons on Saturday, and a last-minute birthday party to attend on Sunday. Does this sound familiar? To many busy families, it probably does. All parents want the best for their kids, and for many, this means exposing them to as many new experiences as possible. These activities and playdates teach kids crucial life skills like teamwork, leadership, empathy, and fair play. But overscheduling can have several disadvantages: it’s expensive, it cuts into quality one-on-one time with your children, and it can lead to stress and behavioral problems. So, where’s the balance, and how can you simplify both your schedule and your child’s schedule to find it? Let’s take a look. If you have kids, then you know that they move at a much slower pace than we do. Children require time and space to observe the world around them and process all the new information they take in on a daily basis. This is true whether your child is 3 or 13. The problem is that 21st-century life moves at a fast pace, and all too often children are pulled from one activity to the next with very little time and space to slow down and just be. All this rushing around can lead to stress and behavioral problems. It also cuts into their free play time and, dare I say it, prevents the boredom children desperately need to develop and use their imaginations. The answer might lie in simplification: Simplifying your family’s schedule offers a wide range of benefits, which we’ll explore below. First, a simpler schedule saves money. Stop and think about how much money you spend each month on extracurricular activities for your children. It might be more than you think. According to TIME Magazine, the average parent spends $739 per child, per year, on extracurricular activities. And that’s the average; if your child is in high school, the annual cost hovers around $1,124. Limiting your child to just one or two activities could save you and your family a significant amount of money – and time. Without constantly having to rush to practices, games, and dance recitals, you’ll experience less stress, save money on gas, and have more time together to spend as a family. Of course, there are plenty of ways to save money on extracurricular activities, such as registering early and applying for scholarships or sponsorships. You can save money on music lessons by organizing group lessons or trading services. But the bottom line is that limiting activities will have the greatest impact on your family budget. Dr. Peter Gray, a research professor of psychology at Boston College, wrote a sobering yet enlightening article titled “As Children’s Freedom Has Declined, So Has Their Creativity.” In his article, Dr. Gray explores a study by Kyung Hee Kim, a professor of education at the College of William and Mary. Kim’s research points to a continuous decline in the creativity of American schoolchildren over the past two or three decades. Much of the reason for this, Dr. Gray believes, is due to overscheduling. Children simply don’t have the endless hours of free time that they used to. This free time is an important building block of creativity. Children need to be bored so they can find ways to overcome boredom on their own. They need to try something and fail, and try again and succeed, on their own, without teachers or hypervigilant parents hovering about. A simpler schedule can give your child the freedom they need to be bored – and grow as a result. A simpler schedule can also help children diagnosed with Attention Deficit Disorder (ADD). Child psychologist Kim Payne, author of the book “Simplicity Parenting,” conducted a study in which he simplified the lives of children with ADD. Within four months, 67% of these children went from clinically dysfunctional to clinically functional, and 37% saw an increase in academic aptitude. All this from slowing down and paring down their activities. Think about how you feel when you have too much on your plate: you feel stressed, depressed, or even angry because you’re being pulled in too many directions. Our children experience these same emotions, only stronger, because their threshold for handling demands is far less than our own. They often respond to the stress of “too much” by acting out, simply because they don’t know how else to cope. Their behavior is a powerful signal that something is not right – that we’re expecting too much from them – and that we need to slow down. Childhood is so fleetingly fast that watching it pass by is simultaneously amazing and heartbreaking. We blink and our children are grown and gone, living their own lives. Simplifying your schedule will free up some precious time that you could spend simply playing or talking with your children. 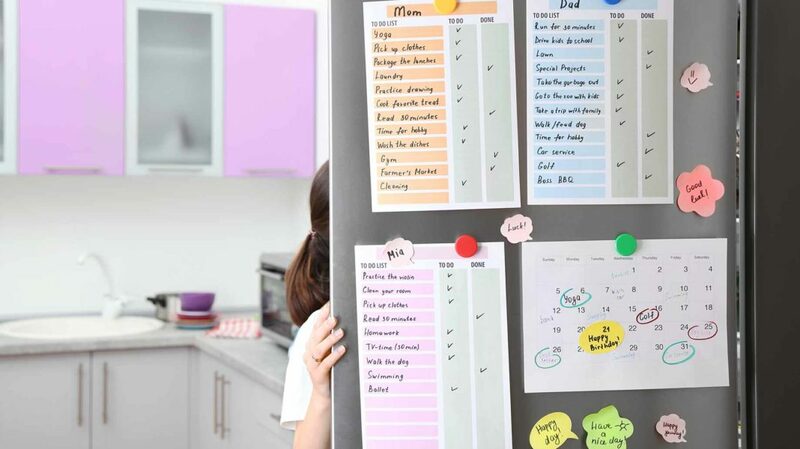 Cutting down to one or two of your child’s favorite activities, as well as simplifying your own work schedule, gives both you and your child more time to focus on the things that are truly important to your family. You can devote more time to these activities, delve deeper into them, and get better at them as a result. A simpler schedule can also free up some time and energy to focus on your dreams, such as starting a new side business, which could also generate more income for your family. A study published in the Journal of School Health found that children who reported more family time were more proficient at identifying letters, reading words aloud, and solving word problems than children who reported less family time. Overall, 66% of boys and 54% of girls who participated in the study wished they had more free time. When the children were asked to choose one activity they would do if they did have more free time, 45% would hang out or play with friends, 25% would engage in a sport or other physical activity, and 13% would want to spend more time with their family. So, you’re ready to move from the fast lane to the slow lane. But how on earth do you do it? Put simply, one small step at a time. The birthday parties, the afternoons at Chuck E. Cheese’s, the playdates – social commitments can very quickly fill up every spare afternoon you have after school, work, appointments, and activities. These commitments can also get very expensive, especially if you have to buy birthday presents on a regular basis. Yes, birthday parties are great fun for children, and by all means, say yes to the important ones. But, learn how to say no to the social commitments that don’t feel like a priority. This goes for your own social commitments as well. You can’t say yes to everyone. Before agreeing to any commitment, take a minute to really examine how you feel about it. Will saying yes make you feel overwhelmed or resentful? Will it cut into time you need with your children, or time you need to work on one of your dreams? Are you saying yes to please this person or because you truly want to spend time with them? If you can’t say yes for the right reasons, then politely decline and move on. Give your time to the people and commitments that truly matter in your life. Sit down with your child and talk about the activities they’re involved in. Ask how they feel about cutting back to just one or two activities during the week, and explain why you’ve decided to slow down. Let them choose the sport or activity they love best, and let the rest go. Will they cry and moan? Sure, some children might. But they’ll get over it. You can also look at your own extracurricular activities or commitments. What can you eliminate so that you can slow down with your child? Busy families often spend their weekends going to early morning soccer games, running errands, and picking up or dropping kids off for playdates. All this running around can get pretty hectic. Going forward, pick one weekend day where everyone stays at home. No friends, no errands, no practices – you all just hang out together at home. It will give everyone a much-needed break from their busy routines and the opportunity to spend some quality time together. Doing this might mean you have to do some extra planning during the week. You will likely need to plan meals so you only have to go to the grocery store once a week. You might also need to reschedule activities that take place on your dedicated “home day.” This extra planning will save you both time and money: You’ll spend less time running around – and save money on the incidental purchases you’d be making while out and about. Take a look at your financial commitments, including your mortgage. What could be trimmed back or eliminated entirely, so you could work fewer hours or transition to living on one income? This might mean downsizing your home to a home with a smaller (or nonexistent) mortgage. It might also mean canceling your cable subscription (we did, years ago, and our lives are immeasurably better for it). You could also practice voluntary simplicity and pare down your wants and needs to the absolute minimum. The point here is to take a close look at your lifestyle and find a path that would allow you to have fewer commitments. In life, we are often faced with two types of priorities: urgent and important. Urgent tasks often require us to act immediately. These are the last-minute meetings, phone calls, and red-flagged emails that require an immediate response. Urgent tasks, such as a crisis or deadline, can be important. However, all too often, urgent tasks are not important – they just seem that way. Important tasks contribute to our long-term goals, values, and dreams. Accomplishing the important tasks gives us a sense of accomplishment. However, all too often, the important tasks are pushed aside for the urgent tasks, simply because the urgent tasks are the squeakier wheel. You will simplify your schedule, be more productive, and create more time in your day if you learn how to distinguish between urgent and important tasks. Often, this is an intuitive decision, and it takes practice to get it right. The best way to accomplish important tasks is to give them a deadline and treat them as you would your urgent tasks. Urgent tasks will always crop up – and yes, some of these are important and need to be taken care of immediately. However, take time to really examine the level of urgency these tasks require when they appear. You’ll often find that the sense of urgency is manufactured by others and these tasks don’t warrant as much time or energy as you were going to give. There are plenty of programs and apps that will help you manage your time more efficiently. One of the best is Cozi, which enables you to keep your entire family’s schedule on one central calendar. It centralizes your shopping lists and to-do lists, which is an invaluable time-saver and stress-reducer when you’re coordinating after-work grocery-store runs with your partner or caregiver. We all beat ourselves up over the question of scheduling. Do I work too much? Am I spending enough time with my kids? Should I be pushing them to pursue more activities, or are they involved in too much? These are questions that ultimately have no “right” answers, because every family is different. Some families thrive on a busy schedule; others do better at a slower pace. The point is that you know your family best, and only you can find the right balance of free time and commitments that allow everyone to thrive. At the end of the day, if everyone in your family goes to bed feeling loved and supported, you’re doing a great job. What is your family’s schedule like? Do you feel it’s just right, too hectic, or too slow? What are you doing to make your schedule work better for your family?